KPN Digitenne is a broadcaster of (digital) television within the Netherlands. Digitenne broadcasting is based on the DVB-T (Digital Video Broadcasting – Terrestrial) standard. 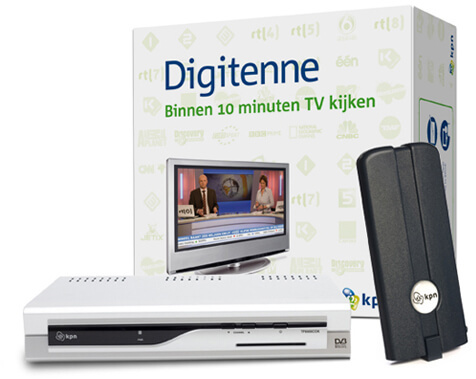 Access to these television signals is provided through smartcards and there are several ways to buy KPN Digitenne subscription packages. KPN Digitenne therefore needed software to manage smartcards and subscriptions as link between point of sales and the actual smartcards. We created this management tool, named Kassa, which handles smartcard and subscription management requests (add, delete, modify), registers these and supplies (de)activation messages to the conditional access system that is responsible for updating smartcards. Kassa comprises a server application based on Java running on Tomcat and using an Oracle database. Communication with related systems is done through XML requests via HTTP and plain text files via FTP.